Congratulations, Joe and Hello, James! It’s an extra special celebration to kick off the New Year because we are adding a new member, James Barrington. James will introduce himself and tell you more about his work in a later blog. This week I wanted to share some wonderful news about one of our members, Joe Nichols. Joe and I are neighbors. We live about eight miles from town past the pavement down a bumpy, caliche road. A mutual friend noticed we had similar addresses, and I was thrilled to find out he was interested in writing. He joined our group many years ago to write a book; an idea that he’d been thinking about most of his adult life. He came to that first meeting knowing nothing about plotting or sentence structure, but I remember how determined he was to learn. The story he wanted to write wouldn’t leave him alone. As a former rodeo bronc rider, his story-telling is raw and authentic. He has also been developing ideas for freelance articles. We are so excited that Western Horseman magazine has published BRUTUS’ NEW JOB. It’s about a bucking bronc who decided he didin’t want to buck anymore and gets a second chance at life in the rodeo arena and on the ranch. You can read Joe’s article in the February 2017 edition of Western Horsemen Magazine. Congratulations, Joe! 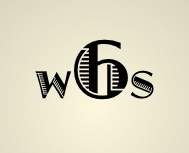 WordsmithSix writers critique group has been meeting together since 2009. We’ve said goodbye to a few members and gained a few. We have cranked out words, sentences, paragraphs, chapters which have been discussed, cussed, submitted, published and rejected. Writing is some of the hardest work you’ll ever decide to tackle in your life. Seeing your words in print is one of the most rewarding things ever. When one of my critique mates has good news to share, I’m just as excited as if it were my own work. Every little success just propels the rest of us to work harder. Thanks for following WordsmithSix as we navigate the world of writing and publishing. Have you set your goals for 2017? Author. Speaker. Girl About Town. The Amarillo Club is located on the 30th and 31st floors of the tallest building in downtown Amarillo. I was invited to join a study club for lunch and to present a program on the history of energy in the Texas Panhandle. It’s a very interesting group of ladies, mostly retired educators, several local, long-time business owners, ranchers and professional women. This group is fun. They had lots of comments and questions, which makes for lively conversation and an enjoyable experience. This is my second time to present a program for them. The view is breathtaking from this lofty vantage point. I posted a picture on Instagram and Facebook of the downtown skyline and the flat Texas Panhandle. When I got back to my car, I checked the mirror to apply lip gloss and noticed a speck of food. In my teeth. For the entire talk? Gross! I held on to the hope that perhaps the people at the back of the room couldn’t have seen it. I half cried as I checked Facebook comments on the picture I had posted. My Uncle commented: “Eating at high altitude produced gas (Boyle’s Law). You can control it by eating slowly.” So much for hanging on to any credibility for my #authortalk. Embarrassment and horror turned to giggles as I drove back to my office. No matter how sophisticated and worldly I might be in my own mind, I’ll never escape these redneck roots. I’ll always be a small-town Texas girl, even in pearls and high heels while dining at the top of the world. The same holds true for my writing. No matter how hard I wish it, the stories in my brain are not mainstream. Honestly, I had big plans of being a romance novelist. I’d love to write the next zombie mega hit. Or even better, why can’t my muse ignite me with an earthshattering future world adventure that breaks all records as a New York Times Bestseller? Yes please, I want to write that. Reality check. More than likely, it’s not going to be my book with, “Now a Major Motion Picture” printed on the cover. The stories in my head are set in the past. My characters are thundering across the wide open prairie on a paint pony, or storming through a clump of Redcoats. In my mind’s eye, I see wagons and horses and Comanche braves. I have no idea why. The why is a mystery. The where and who are moving picture shows in my head. The doing is the hardest work I’ve ever done. Follow your characters, no matter where they may take you…. A recent eBook purchase proved to be very frustrating. It wasn’t the writing, which was very descriptive, literary, and wonderful. It’s the formatting. It has no paragraphs. At least on the eBook version, words continue for screen after screen after screen, with no paragraph break. I’m not sure how that would translate to a printed page, but I can tell you as far as the Kindle version it’s just impossible to read. It feels like my brain and eyes are working extra hard. Let’s turn to the experts. In dialogue, each change of the speaker (even if it’s a single word) begins with a new paragraph. Each change of topic needs a new paragraph. Begin the paragraph with a sentence that suggests the new topic, or helps with transition. The paragraph can begin with a concise statement with the purpose of presenting or holding together the details to follow. For narrative action, the paragraph gives the reader a stylistic pause, used to highlight importance of some detail of the action. Large blocks of print look formidable and daunting to a reader. Enough said. Write on people. REF: Elements of Style by Strunk and White, Fourth Edition, Longman 2000. I love this quote! Think of your readers as blank tapes. It’s your job as a writer to convey that image in as vivid a picture as possible. You create a world on a page with words that comes alive in the readers’ brain. Each one of those shades of red creates a totally different mental image. Thanks for following Wordsmith Six!